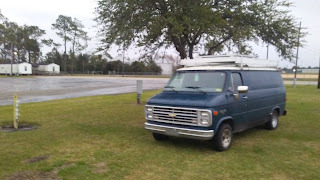 VanLife Crisis: Winnie City Park, Winnie TX ... and self imposed cop knock? 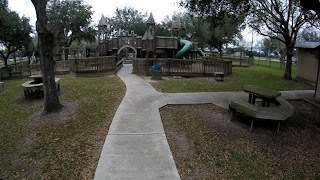 As I had discovered in Breaux Bridge, Louisiana, some small towns try to attract travelers by offering up their City parks for a few nights of free camping (or parking in some cases). This brings in valuable tourist dollars that would be spent on campsites for most travelers anyway (unless they are like me) so it is a win-win. While being out in the wild wilderness camping for free is enjoyable, its also nice sometimes to be near shops and internet. Winnie Texas is one such example. 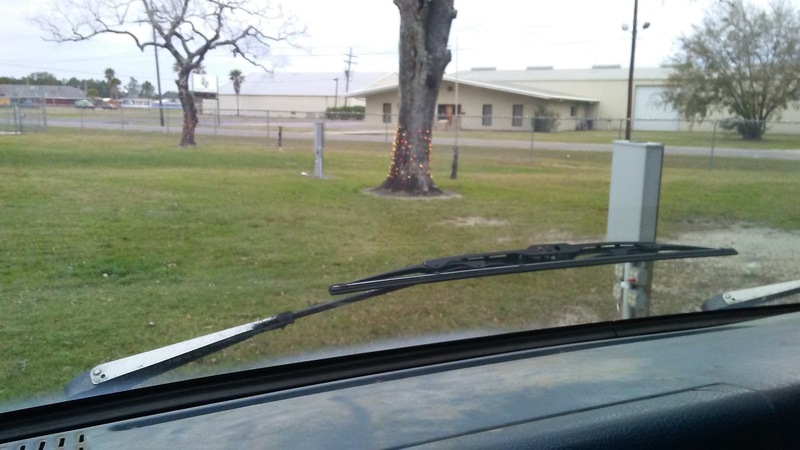 Unlike Breaux Bridge however, you do have to register at the sheriffs/clerks office first. As you head toward the park, you want to stop there first by making a left at the Exxon station onto Broadway, the light before the park. The process is pretty painless, you just hand over your license to the very nice clerk, she makes a copy and then gives you a permit for 3 days. 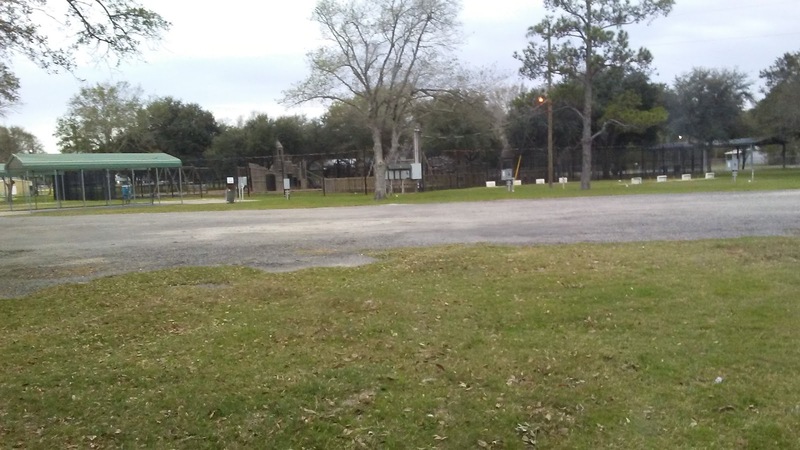 The park, like the others I come to find in Texas, is immense. I guess Texas earns its 'Bigger' reputation in this regard. The park has a large, elaborate playground, several sport areas, a rodeo/horse track, and what I am assuming are festival event areas with stands. 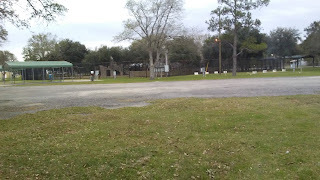 Multiple covered picnic areas, some with giant BBQ grills/smokers. Any size rig can easily fit here, more sites and parking than can likely be filled if they try. My guess is they were preparing for Rodeo shows with this space. There are water and electric hookups all over the park. I do not know if they are included for your free stay, I would ask the clerk first. She didn't forbid it, and since I didn't need them, I didn't ask. Both the electric and water did work though. The park has bathrooms, though they are rather spartan in my opinion. Its rare to find open public bathrooms with absolutely no stall doors or even curtains in them. According to reviews, the ladies aren't spared this either. I thought metal urinals were strange too, though since then I have seen they are a common thing in the southwest. Trash cans are sparse but around. The park is beautiful, many of the trees scattered throughout were adorned with lights for Christmas (tho it was over already). Something about manicured grass that makes me want to lay down on it and nap, tho it was still a little on the chilly side for that. 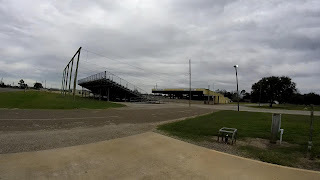 There is a Dollar General about a quarter mile from the park if you take the road at the rear of the park out, and across the highway from that is a local supermarket. The little town has anything you need, restaurants, gas, even tire repair, though I don't think there is much in the way of entertainment. 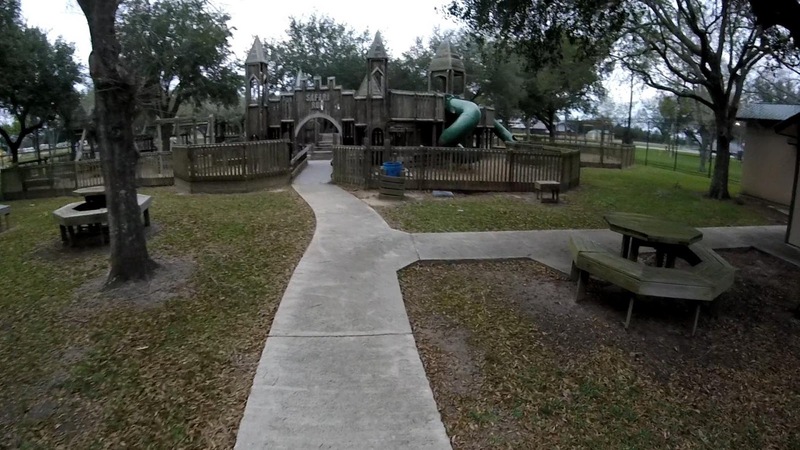 After filming several of the areas for my youtube, I decided to settle in under a cute tree at the end furthest from the empty playground after filming it (it is a pretty amazing little castle playground). It didn't help much because before it even got dark I had a cop knock from a sheriff's deputy. I must admit that I was a little surprised at this, considering I literally gave my driver's license at the sheriff's office and had their permit on display in the front of my dash. The officer wasn't very rude but he clearly was suspicious. He either didn't bother to look for the permit first, or saw it and feigned ignorance. He said someone called about a suspicious vehicle hanging around (There were 2 pickups hanging around most of the time i was there as well...guess only vans count..). He asked what I was doing, and I told him camping. 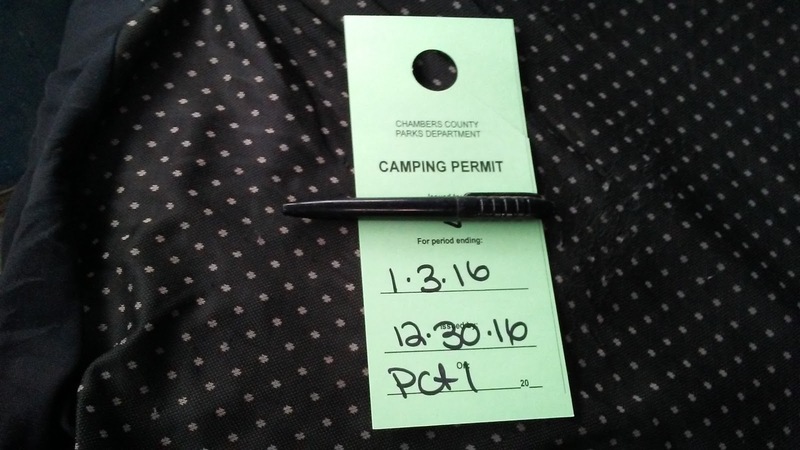 He then looked for the permit and remarked that I had one. I was ok with all this to this point, by the way, I understand how it looks to have a dark colored cargo van, with a huge dude getting out and walking around a children's playground by himself. What bothered me after this point, however, was that it continued beyond seeing my permit. He asked for my license and ran it thru dispatch, despite me providing it already. He then asked me where I was coming from and going. While we waited, despite me just telling him i came from LA to here, he asked me what did I think of Texas so far. I think he started to sense my annoyance when I replied "I haven't decided yet, THIS is the first experience I've had in it." After nothing came back on my license he was polite in letting me get back to my business. Honestly I was even a little pleasantly surprised that he didn't ask to look inside the van, as this is how things went previously with my cop knocks. But I didn't fail to notice him drive over behind the rodeo bleachers, and park there for 30 minutes to watch me before driving off. I left my side door open and ate my Haagen Daas while looking back at him until he left. I don't want you to take the above experience as me suggesting you should not stay at this park. It is highly unlikely you will encounter the same experience, and all told it was not even that unpleasant, more just a short bother. After that no one came by or bothered me, and the park is lovely and quiet. 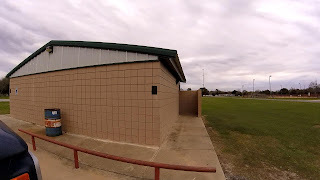 Other than on the Gulf coast, there is little free camping in Texas beyond rest stops and parking areas, so it is definitely a good idea to stay here at least one night if you plan to head straight west. Hello Martin! Nice blog post. Hey, a visit from a cop just gives ya more stuff to write about. LOL I watched the video also. Glad to hear you got a job while in Quartzite. How awesome is that?! Looking forward to hearing about that camp host experience. We're in NM, close to Santa Fe, working our way over to do a 2 month hosting gig at Storrie Lake. Take care and safe travels to ya! Hello? Anyone home? How is it going? It's been awhile.... just wondering. I am in fact home, I returned about a week or so ago. I know the blog was severely neglected, but I will probably start updating it again soon.